Summer time is just around the corner! With that, there will be a bazaar for you to fill up your closets with hot new trends! 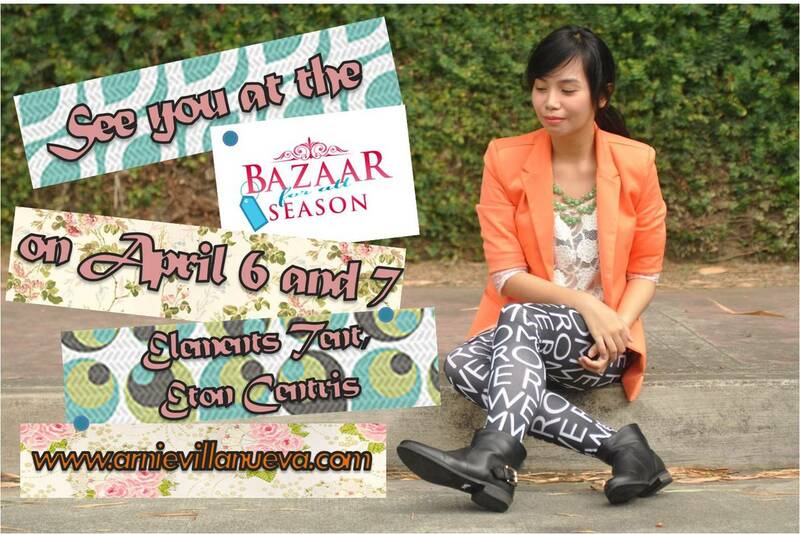 Come and join the Bazaar For All Season the second time around on April 6 and 7 which will be held at the Elements Tent, Eton Centris. My co-bloggers and I will be there and we'll sell our own stuff. 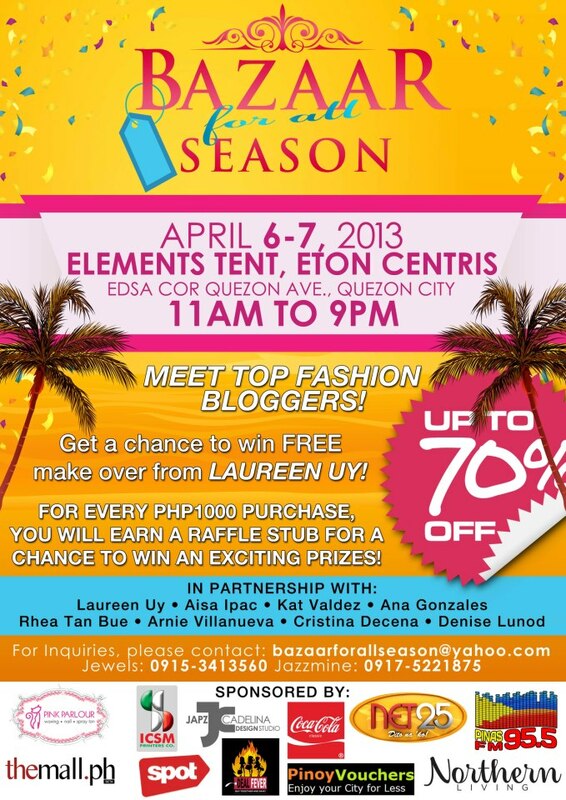 The BFAS team will also give away lots of prizes for shoppers plus a free makeover from Laureen Uy! 1. Like RAID MY CLOSET on Facebook here. 2. Like BAZAAR FOR ALL SEASON on Facebook here. 3. Follow me on Twitter here. 4. Follow Bazaar For All Season on Twitter here. 5. Tweet this: "Win free tickets to @Bazar4allSeason plus a loot bag by joining @listentoarnie's giveaway at www.arnievillanueva.com"
6. Leave a comment in this post with your Full Name, Email Address and the link to your tweet. This giveaway will run until April 3, 2013. Interested shops/brands may send their application at bazaarforallseason@yahoo.com. For inquiries, you may call 664-1923, 0915-3413560 (Jewels) or 0917-5221875 (Jazzmine). There are only few slots left! First come, first served! Magkano po ang entrance fee sa bazaar?